A core part of the HUPO professional development program is mentoring and supporting students from the time they enroll in Harvard’s Master’s in Urban Planning program to the time they graduate. Each year, HUPO facilitates the ‘Buddy System’ where each incoming student is paired with a current student with a similar background and interests. Once students are on campus, we organize a social event for buddies to get together in person before the semester starts to ensure that incoming students feel prepared for the upcoming year. We also encourage buddies to meet throughout the year, and believe that this system has helped build long-lasting friendships between the MUP cohorts. We encourage second-year MUPs to assist first years as often as possible. During orientation in past years, HUPO has organized a Harvard Square scavenger hunt to help first-year students find their way around campus. HUPO also hosts an annual software setup session to help incoming students navigate the various computer programs required for the core curriculum. 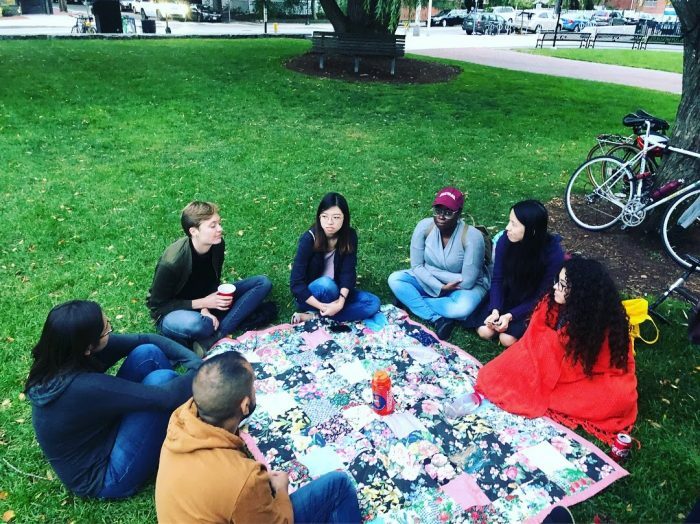 HUPO regularly hosts picnics, apple picking excursions, pot-luck meals, and other social events to help promote student bonding during fall orientation and throughout the academic year. Additionally, second-year MUPs share internship experiences and reviews of elective courses through informal exchange sessions throughout the year. Regular HUPO newsletters help students stay up-to-date on events, lectures, and deadlines relevant to urban planners at the GSD. HUPO also maintains multiple databases with information about internships, courses, and planning concentrations that help MUPs share experiences and advice to further reinforce the nature of the planning program as a collaborative and supportive community of like-minded aspiring professionals.